Put the boat in 4/1 in the am, all went well. Went fishing the next day which is the better day of the week. Left the dock at 10 am and returned at 2:30pm. We had over 30 bites and landed 2/3rds of them. There were smaller fish in the shallow water and bigger fish out a little deeper as we found on our homeward troll. Had one king on that got away, one coho salmon and the rest were a good class of browns. Had several that were over 10lbs. This is going to be a year to remember, just like last year. Last year bar none was the best fishing i have seen since 1977. Salmon were everywhere and chewing all season long. The browns never even got picked on because of the abundance of salmon. The brown trout numbers are up there and so are there size. I sound like a broken record when i say spring is a awesome time to bring the kids, family, friends out for the spring feeding frenzy. Lot’s of action. I still have some prime dates available, let me know. 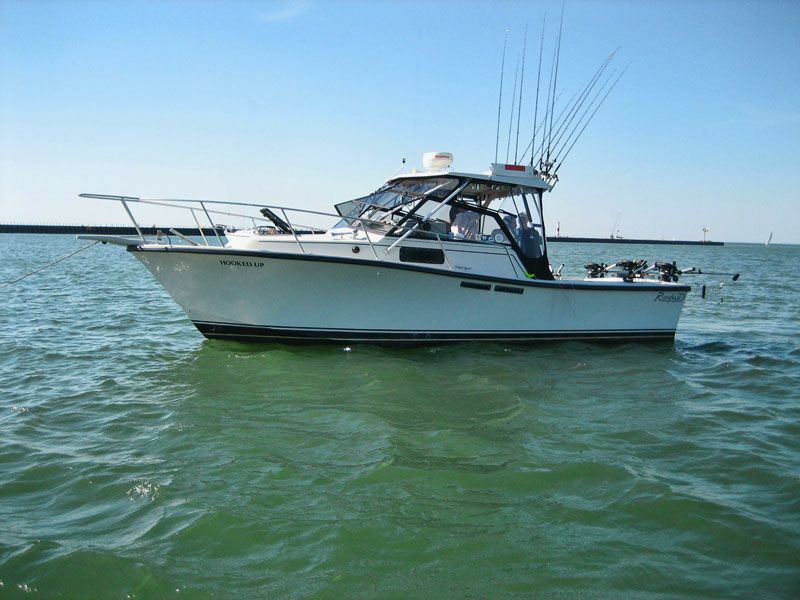 HookedUp Charters and Capt Bruce Stenglein are a FULL TIME charter service that is available 7 days a week. Note: Your privacy is important to us and we take that seriously. None of your information will ever be shared with any 3rd party. Thank you for taking the time to visit the Hooked Up Charters website and we hope to see you in person very soon! © Copyright 2019Hooked Up Charters. Proudly designed & hosted by BlueEye Design Co.
Hooked Up Charters is a Proud Member of Lake Ontario United - Book with Confidence.